Book Challenge Day 19- Last Book You Read | What are we...the Whos? I’m not gonna lie, it took me a significant amount of reading to get into this book. I was practically forcing myself to read the first 100 pages. It’s about an extreme climber who, after a near-death experience, decided to dedicate his life to building schools for poor towns in Pakistan. A great story, but really difficult to get into. There was a lot of information about climbs, climbers and mountains that I just had no interest in. I would just be getting into the story when there would be a two-page break to discuss the first climbing expedition that attempted a nearby wall. Just wasn’t working for me. But suddenly, I was hooked. I was able to skate over the climb-related pages and really immerse myself into the story. Definitely worth a read. 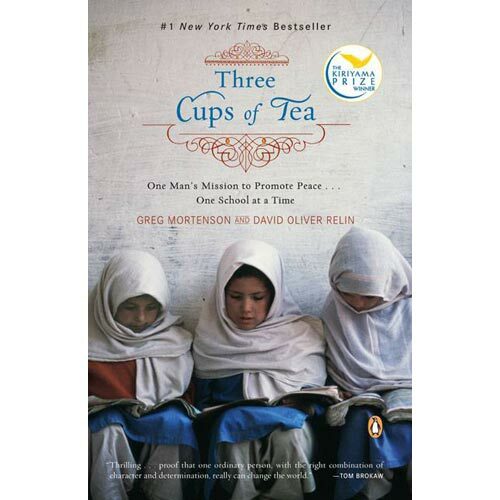 Posted in Authors, books, Reading, Writing and tagged 30-Day Book Challenge, David Oliver Relin, Greg Mortenson, Three Cups of Tea. Bookmark the permalink.